You’ve no doubt heard of software as a service. Those who are deeply into IT will nod their heads in recognition when acronyms such as IaaS (infrastructure as a service) and PaaS (platform as a service) are tossed around, too. But here’s one “*aaS” you might not have heard of yet: everything as a service. And it’s the future, according to Linden Tibbets, CEO and co-founder of IFTTT. But what exactly is IFTTT? And how does it relate to the idea of everything as a service? Here’s what you need to know. 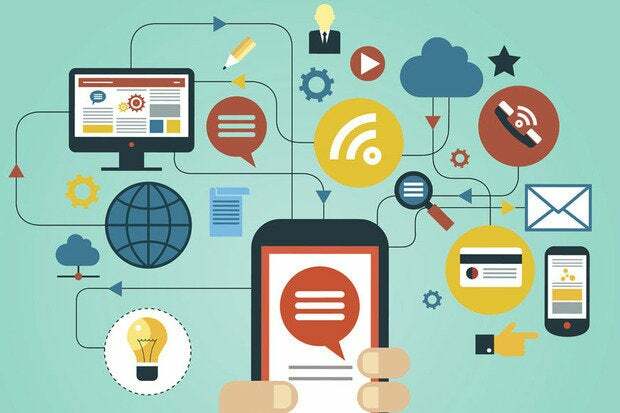 IFTTT derives its name from the programming conditional statement “if this, then that.” What the company provides is a software platform that connects apps, devices and services from different developers in order to trigger one or more automations involving those apps, devices and services. * If you make a call on your Android phone, then a log of that call is added to a Google spreadsheet. * If you add a new task to your Amazon Alexa to-dos, then it will be added to your iOS Reminders app. Currently, there are 54 million IFTTT applets, according to IFTTT. And for the record, Tibbets’ favorite applets include one that lets you quickly email notes to yourself and another that notifies you whenever a new Craigslist post matches your search terms. Tibbets and Jesse Tane co-founded IFTTT in 2010 and officially launched the service in 2011. Based in San Francisco, IFTTT has raised $63 million in venture capital funding from investors that include the firm Andreesen Horowitz, according to IFTTT. The latest funding round of $24 million, led by Salesforce Ventures with participation from IBM, Chamberlain Group, and Fenox Venture Capital, will help hire new staff and expand the platform. Tibbets is currently IFTTT’s CEO. Tane moved on from IFTTT in 2012. In November 2016, IFTTT beefed up its recipes, which connected two devices, apps or services, turning them into applets, which are capable of connecting multiple devices, apps or services. The automations are accomplished via applets — which are sort of like macros that connect multiple apps to run automated tasks. You can turn on or off an applet using IFTTT’s website or mobile apps (and/or the mobile apps’ IFTTT widgets). You can also create your own applets or make variations of existing ones via IFTTT’s user-friendly, straightforward interface. IFTTT has posted a YouTube video (See below) explaining in more detail how applets are made. Developers as varied as Ring and BMW pay IFTTT an annual fee to provide applets on the IFTTT platform. There is even a partnership with UK startup bank Monzo, which, among other things, lets users automatically withdraw funds from a “rainy day” savings pot when it is raining, or “reward” themselves each time they go to the gym. The IFTTT service is free for users. “For users, applets are easier, and for developers, they’re much more powerful,” Tibbets said. 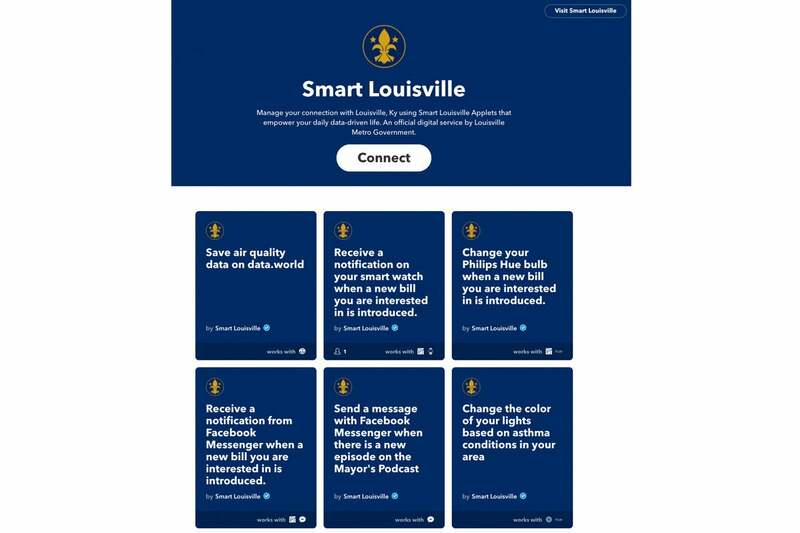 To date, IFTTT has more than 550 partner services, including Facebook, Domino’s Pizza — even the city of Louisville, Ky. IFTTT’s community of 11 million users run over 1 billion applets each month, according to the company. IFTTT is simple to use. You download the mobile app (for Android here or for Apple's iOS here) create a free account and you're up and running with automations in minutes. There are bewildering array of applets available, so IFTTT helpfully provides automation recommendations for new users to try. Its Collections groups together applets for different platforms – such as iOS, Android and voice assistants – and showcases everything from applets for news and weather services to home automation. It is also possible to search for individual applets, or browse under categories such as business tools, connected car or health and fitness. The My Applets screen lets users manage which applets are currently turned on, and provides a history of those that have been used previously. Users can create their own applets by combining various app "services’"and setting trigger parameters. An increasingly popular way to use IFTTT is in conjunction with Amazon’s Alexa voice assistant. Much of these applets center around internet-of-things use cases such as controlling smart home devices with voice commands directed at Echo and Echo Dot speakers. This could entail telling Alexa to make a cup of coffee with WeMo’s connected coffee maker or changing the color of Hue smart lights each time Alexa plays a new song. Amazon is keen to push its A.I. assistant into corporate environs, and there are uses emerging for IFTTT and Alexa in the workplace context. For instance, when you ask Alexa to add a to-do item, this can automatically be added to a workspace within Asana’s project management app. The same can be done with Evernote, Google Docs spreadsheets and more. You can also sync your to-do list with Google Calendar. It is also simple to connect IFTTT with Google’s Assistant, which powers its Google Home speakers. What does IFTTT have to do with everything as a service? IFTTT’s purpose is to connect those disparate services and systems. “We help all products and services work well together in a way that brings you confidence and helps those services create rich interactions in their ecosystems,” Tibbets said. IFTTT is aimed largely (but not exclusively) at consumers looking for an easy way to get more out of their devices, services or apps, Tibbets said, with IoT automations a particular focus. It is not alone in the drive to make everything a service. Zapier is a freemium service for consumers as well as business and power users. 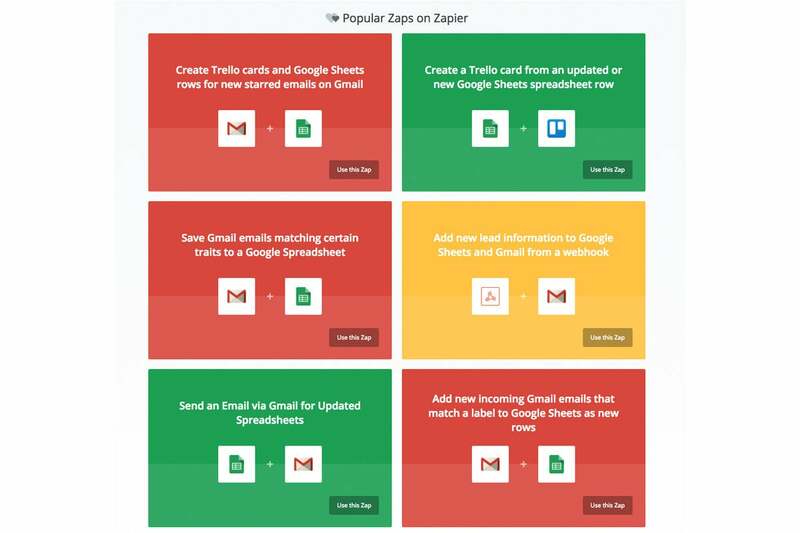 Its Zaps are workflows that connect apps, such as Gmail and Dropbox, to trigger and automate actions between them. You can create two-step Zaps for free. More complex Zaps require a monthly fee. For $20 per month, you can connect three or more steps across all of Zapier’s 750-some apps. The $250/month plan is designed with teams in mind, offering unlimited Zaps and access to all premium features. 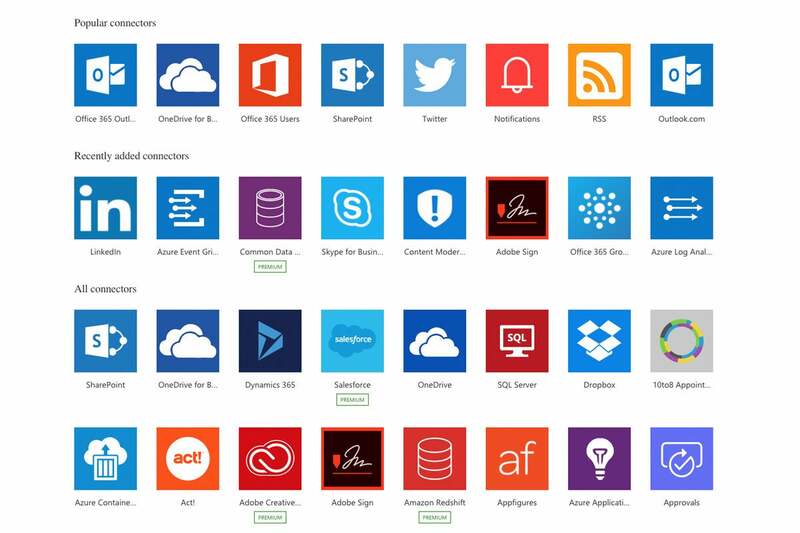 Microsoft Flow connects 195 services to create automations, called “flows,” with an emphasis on business productivity. For instance, if you’re looking for a Spotify automation, you might find it on IFTTT and Zapier but not Microsoft Flow. The free service lets you run 750 flows per month and create unlimited flows. More advanced functionality costs $5 or $15 per user per month. What do users like about IFTTT? “IFTTT automates things I could do myself but would be a bad use of my time,” said Paul Tanner, founder of watchmaker Freedom To Exist. One example is the ability to automatically save his company’s Instagram posts to Dropbox. How could IFTTT be better? Upon hearing these suggestions, Tibbets said, “We welcome such thoughts from consumer end users as well as the companies we partner with. We take this feedback to heart as we continue to build IFTTT and the applets on our platform.” He added that anyone can offer suggestions on IFTTT’s feedback page. IFTTT has recently started enabling its service partners to incorporate IFTTT applets into their own apps, Tibbets said. He added that 30 IFTTT partners are currently developing initial versions of their apps with built-in IFTTT functionalities. And with more users interacting with services using their voices, IFTTT has “a huge role to play” in enabling interactions with Amazon’s Alexa, OK Google, Apple’s Siri and other services, Tibbets said. Augmented reality is another area ripe with IFTTT applet potential, he added.